The Road to the Kentucky Derby series attracts a largely fresh set of challengers Saturday when a maximum of 14 colts and geldings will compete in the $200,000 Lecomte (G3) at Fair Grounds over one mile and 70 yards. Of the gate-load of entries in the Lecomte, only three have earned qualifying points to date. 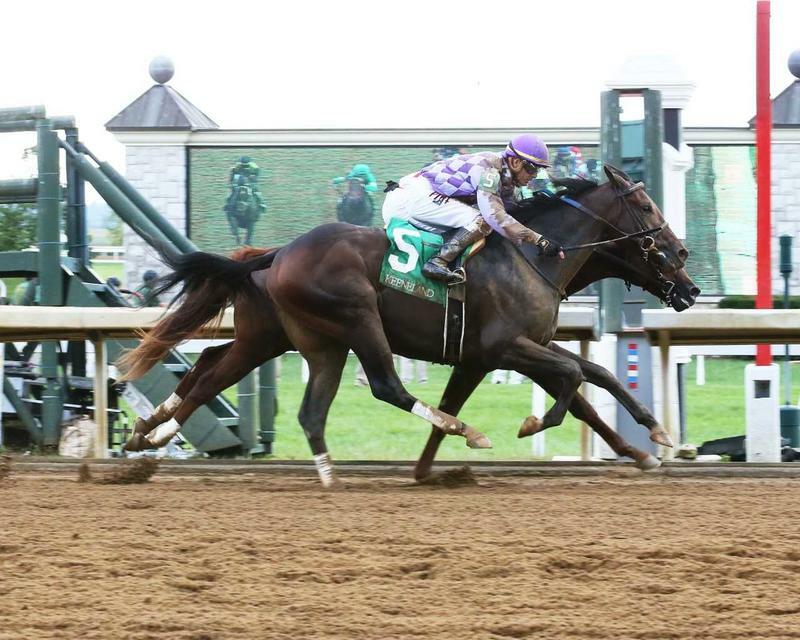 Plus Que Parfait earned four points for finishing second by a neck in the Kentucky Jockey Club (G2) in November, while Tight Ten earned the same amount in the series' first prep, the Iroquois (G3) in September, also at Churchill Downs. Tight Ten went on to finish a troubled ninth in the Breeders' Cup Juvenile (G1) for owner Ron Winchell, who will also be represented in the Lecomte by the allowance-placed Wicked Indeed. Both are trained by Steve Asmussen. "His experience in the Breeders' Cup wasn't the best," said David Fiske, Winchell's racing and bloodstock manager. "He bounced off the rail going into the first turn. Wicked Indeed won at first asking going six furlongs at Fair Grounds, but finished a distant third to Tackett in an allowance over the Lecomte distance. "This race a little ambitious for Wicked Indeed and I thought he ran a little dull last time. He didn’t run the way we wanted him to and I think he’s better than that," Fiske said. Mr. Money outran expectations in the Breeders' Cup Juvenile, finishing a distant fourth of 13 after breaking his maiden five weeks earlier. He secured two Derby qualifying points for that effort. The Grade 1-placed War of Will also ran a solid race at the Breeders' Cup, finishing fifth in the Juvenile Turf (G1). He broke his maiden by five lengths in the slop last time in his dirt debut. Manny Wah is the most experienced of the Lecomte entrants, most recently placing second in the $74,000 Sugar Bowl going six furlongs. It was the allowance scorer's seventh start but first sporting blinkers. Allowance winner Hog Creek Hustle exits a third in the six-furlong Sugar Bowl, while Roiland advanced from 14th to fifth by the end of the Kentucky Jockey Club when last seen. The latter adds blinkers for the Lecomte. Completing the field are allowance winner Mo Speed, last-out graduates Malpais, Chase the Ghost, and Admire, and the maiden Night Ops. Maiden claiming victor West Texas is on the also-eligible list. As part of the Road to the Kentucky Derby series, qualifying points of 10-4-2-1 will be awarded to the Lecomte's top four finishers. The Lecomte is race 12 on the marathon 14-race card at Fair Grounds on Saturday. The race can be watched and wagered on at TwinSpires.com.